With the confidence of his parents spurring him on to make informed breeding decisions, Tomos Evans is a pedigree livestock farmer with an admirable business head on his young shoulders. Jonathan Long finds out more. South Wales-based Texel and Limousin breeder Tomos Evans is quickly gaining a reputation as a top class stockman with an eye for quality thanks to recent success with his family’s flock and herd run under the Welsh prefix. 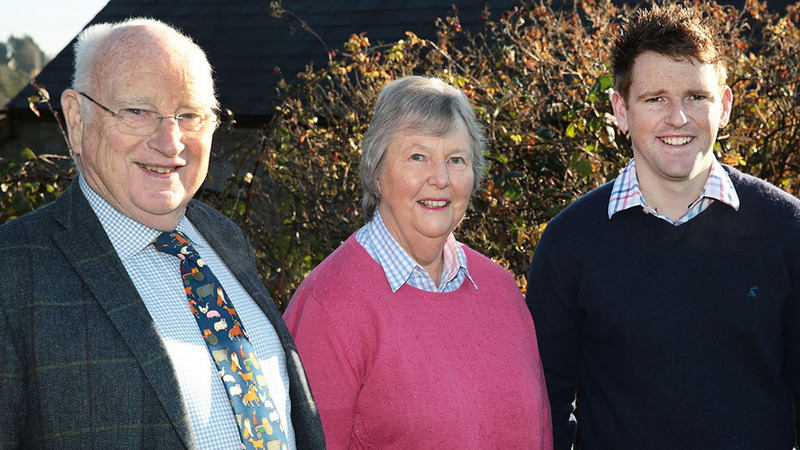 Carmarthenshire-based Tomos has been involved in the family’s farm for a number of years, taking greater responsibility in recent years along with girlfriend, Catrin, as his parents, Selwyn and Dorothy, have reduced their day to day involvement. He says: “My parents have been great at letting me have an increasing level of responsibility in the business over the years and are keen for me to develop the business and the pedigree enterprises. “When my mother and father started with Texels in 1989 it was with some ewes from Stephen Williams Woollascott flock. Those sheep did a great job for us, building a solid foundation from which to breed great commercial rams and females which bred well year after year. “Then in 1996 I started to get a bit more interested in the sheep and my parents allowed me to buy a ewe lamb from the Llyfni flock that I spotted at the Royal Welsh Show. It has been his parents’ willingness to allow him an input from an early age which has encouraged Tomos to develop things further. “Without a doubt I’ve benefited from having the opportunity to contribute to things from then on. It has helped me develop as a breeder and meant I feel more confident in my own abilities,” he explains. But, recognising the influence those few choice female purchases had on the flock Tomos has remained open to buying new female lines when the opportunity arises. “I’m always open to buying-in new females when I believe they can add something to the flock. 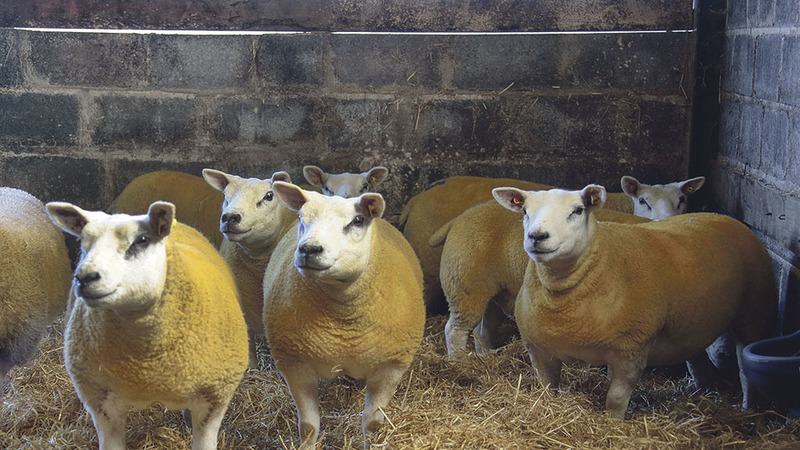 Thanks to the use of embryo technology buying fresh females can, potentially, have a bigger impact on a flock than buying rams and with the use of AI it is relatively easy to access good quality rams. The family then staged an on-farm sale in 2010, selling 100 females to help bring numbers back to a more manageable level. The Welsh flock currently runs at about 50 ewes with five to six selected annually for embryo transfer. Other females to join the flock have been ewes from the Procters flock and a Greenwood ewe by Swaites O’Sullivan bought at Chelford as well as select ewes from flocks such as Glenside and Cornerstone. “The Greenwood ewe, I liked from the moment I saw her at Chelford. She just had something about her. We lambed her naturally the first year and then flushed her after that to Mossknowe Pudsey. However, while selling females to breeders is a mark of how far the flock has progressed in recent years, Tom is clear about where the bread and butter of the flock’s income is. “We have to keep a focus on our commercial ram buyers. We have historically sold all our rams as lambs, but are starting to change that and will be selling some as shearlings in future. Commercial buyers are moving more towards buying shearlings rather than lambs, so we have to respond to that. The family also runs a coloured Ryeland flock under the Welsh prefix, gaining success in shows and sales nationally. For three years in succession the flock scooped the breed championship at the Carlisle rare breeds sale. A Suffolk flock has recently been added to the mix too, with ewes bought from the dispersal of Tom’s uncle’s flock in Herefordshire. “My uncle and my grandfather before him had been breeding commercial Suffolk rams for many years and enjoying a good trade at Builth Wells. I felt it was a shame to let that go without someone in the family carrying it on, so we’ve bought 25 ewes and will see how we get on with them,” he explains. On the cattle front, the family’s herd of pedigree Limousins numbers 25 cows, with bulls again sold locally and the odd female offered too in order to maintain herd numbers at a manageable level. 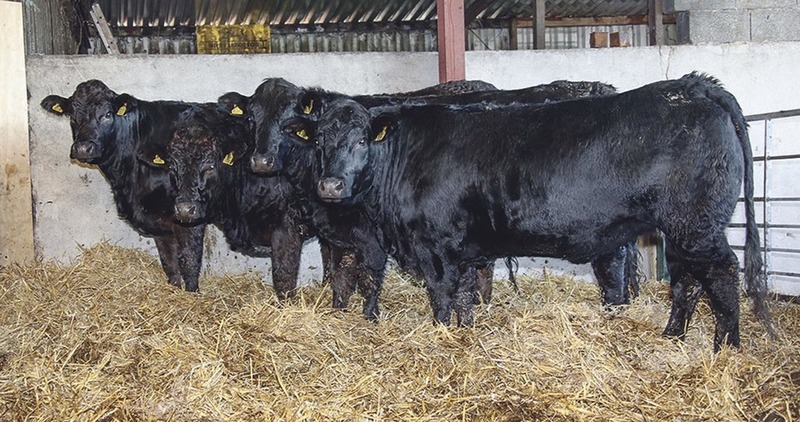 “As with the Texels it is all about breeding Limousins that local commercial buyers want. That means producing bulls with good loins, shape, natural fleshing and correctness. We’ve gradually been developing a herd of black Limousins, with about half the cow numbers now being black. A further 300 cull ewes are bought each year to finish at grass before being sold on again. “We don’t always have a lot of sheep about us, but a lot pass through in a year. We’ve recently secured another 80 acres of rented ground which will help the livestock elements of the business develop further,” he adds. Along with the livestock enterprises the family also have three holiday cottages, a bed and breakfast and a 25 pitch touring caravan park on the farm. “It certainly means we’re busy and I also do some relief work for other farmers locally when time allows,” says Tomos who was earlier in the year announced as one of the inaugural winners of the Princes Countryside Fund Land Rover bursary for 2016-17 giving him the use of a Land Rover Discovery Sport for 12 months to support the development of the farming business and his career on the land.